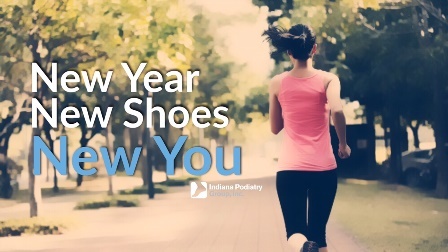 It’s the new year and you are ready for a new you. But how do you get started, where do you get started, and how do you stick with it. As a podiatrist I recommend a great place to start is with walking. Walking is a simple exercise that can be done anywhere without any special equipment. The effects of a 20-minute walk alone can help your body burn extra calories and improve your overall heart health. It is a low impact activity that is easier on the joints and musculoskeletal system as well. Don’t put it off and start today. Each day will get easier and as becomes habit, you will be able to increase distance, improve your time, and overall improve your health. Best wishes on keeping your body and feet healthy in 2017!